I can appreciate the positives of Buzzfeed and its ilk. The click-bait titles have perfected and streamlined content and teasing for the internet, doing the same thing newspaper headlines were designed to do, but for the online generations who gobble up more information from more sources than ever before. It’s quite admirable how the enticing style has taken over a large proportion of the web, and made things no one should really care about into news stories. It’s a bit like clichés and stereotypes, although I actually like them. They’re used so often because there’s something true about them. Because they work. Buzzfeed works too. Its tempting titles make you read an article, and I think every online writer has taken some inspiration from these, myself included. Again, because they work. But imagine if a newspaper headline read, “You’ll Never Guess Which Celebrity Died Last Night!” I’m comfortable enough to say, laced with hypocrisy, that I’m uncomfortable with this latest iteration of journalism. 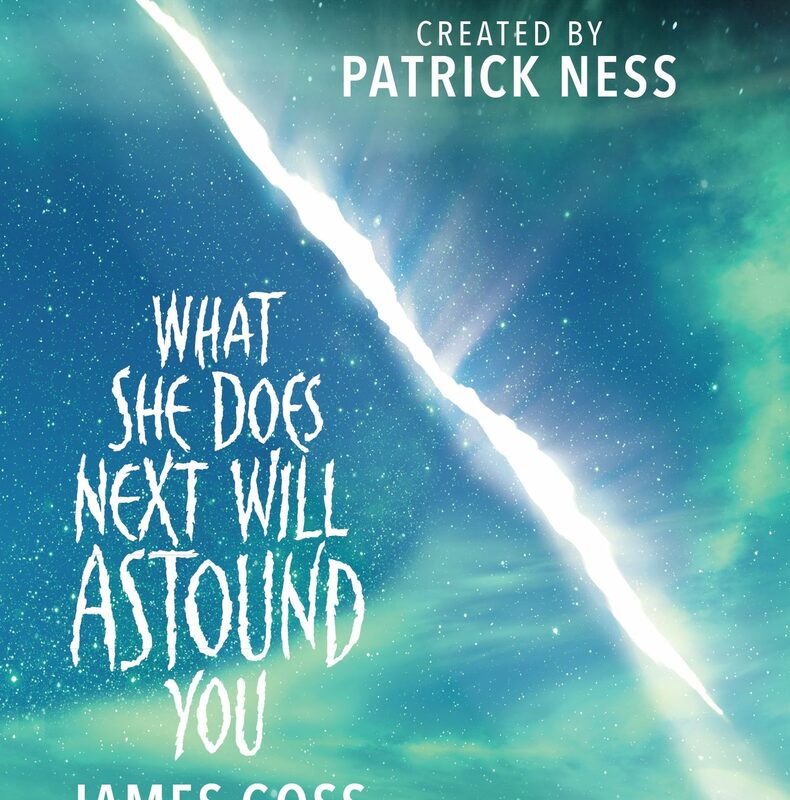 That’s one reason I couldn’t wait to get my hands on the Class novel, What She Does Next Will Astound You; the other reason being that it’s written by one of my favourite Doctor Who authors, James Goss (Dead of Winter). I had high hopes, egged on by the enticing Buzzfeed-esque title, and they weren’t let down. Doctor Who is known for its malleable narratives: one episode, you’re celebrating a gloomy Christmas in the Victorian era, the next you’re faced with living wi-fi, and after that, aliens are singing to an omnipotent star. An allusion to The Bells of St. John feels appropriate because the story felt particularly relevant to an internet-obsessed age – just as What She Does Next Will Astound You is, taking into account viral videos and copy, fads, virtual reality, and the loss of innocence. All are strong themes of the novel, and showcase how changeable Class‘ format is too. No doubt inspired by the likes of the Ice Bucket Challenge, Goss has taken our online fads to a whole new level, but it’s still entirely believable. Students at Coal Hill Academy and beyond become obsessed with a website that wants your bravery and stupidity. Do an insane stunt or confess an awful secret: no matter what you do, videos start trending then seemingly-disappear from the consciousness of the world wide web. Similarly, those who make the videos disappear from real life. I get the charity fads. I do. The Ice Bucket Challenge raised lots of cash (though not always from those creating content), and raised the profiles of ALS charities fighting motor neurone disease. A fantastic cause. Still, if someone dared me to do it, I’d say no. There’s something really creepy about it. Worse than that, it’s like the latest version of bullying. Raising money for charity through peer pressure. That same notion is used in What She Does Next Will Astound You, with truthordare.com raising money to fight Skandis – something terrible that no one really knows anything about. The effects of this online sensation are felt swiftly, first as people injure themselves, then as they vanish, and most effectively, when Ram becomes a target. The messages he sent to his girlfriend, Rachel on the night she died, and since, are leaked, and instead of receiving sympathy, Ram’s caught up in a wave of victimisation, as if he’s a Cyberman, with no feelings to hurt. And that’s what the internet can do. It’s what newspapers and celebrity culture do too. We forget these people have feelings. One moment, you’re the brunt of the jokes; the next day, you’re a footnote, if you’re lucky. The book mainly revolves around two of the more interesting characters from Class: Ram, still struggling with his new leg and his new position in school society, the football hotshot whose friends are now, basically, all geeks; and predominantly, April. I find April a great character. Very complex, and very compassionate, and she remains the focal point during What She Does Next Will Astound You. She notices something’s wrong with truthordare.com, and dares to find out what – before being confronted with her own inability to actually do anything about it. She, too, quickly becomes a victim, as her peers turn against her because she refuses to do what she knows to be wrong. Pleasingly, she maintains her moral code, seeing the atrocities going on around her, and standing firm. And she’s basically the only one. Unless you count Miss Quill, whose morals are consistent but not by any means as admirable as April’s. She can kill without regret, and she does. That’s right: she can use a gun. I won’t reveal how, but it leads to a wonderfully tense scene in which she confronts Charlie, ready to pull the trigger. Alongside lashings of The Bells of St. John, What She Does Next Will Astound You is further reminiscent of Jacqueline Rayner’s 2005 book, Doctor Who: Winner Takes All. Things change for the students and the novel, as we move from a funny narrative to what’s essentially a war story. Nonetheless, Goss retains his witty prose, making it a pleasure to read, even if it’s also uncomfortable. That’s as good a description of a good deal of internet content as you’re going to get as well. An added incentive to get this Class title is for the chapter headings, each a play on classic Buzzfeed phrases. A few of my favourites include “8 Things The Media Hasn’t Told You About Cup-A-Soup”, “15 Cats That Look Shockingly Like Miss Quill”, “Find Out Why The Goats Do Not Get To Dance On The Tube”, and “The Rise Of Smart Women And How To Stop It”. One, however, beautifully sums up the book: “They Thought They’d Won Until They Found Out They’d Lost”. What She Does Next Will Astound You really is unsettling – especially at its conclusion. We’ve been fed the line that no one ever remembers what goes on at Coal Hill, and that’s given greater relevance here. But with what they’ve seen and what they’ve done, I can’t believe the students could realistically forget or even move on. They’d all be scarred. They’d all have nervous breakdowns. As an isolated story, it works beautifully, but connected to the Class TV show, it’s niggling. It’s the one complaint I have. Only April could walk away from this, changed but with her head held high. Well, her and Miss Quill. It’s Quill who gets one of the strongest scenes, right at the closing of the novel. She’s afforded the denouement, and it’s chilling, thought-provoking, and emotive. Her icy nature heightens the drama, and you realise that this is what she’s like when she’s alone. Some stories aren’t easy. They aren’t like escaping to a friendly world where you know the good guys always win. Nonetheless, it’s important to read and confront that part of human nature. 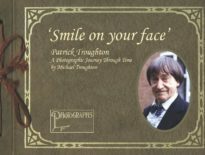 In a quietly grim way, What She Does Next Will Astound You really will astound you, proving that there are lots of tales still to tell from the Class and, indeed, Doctor Who universe. ← Class’ Wayne Yip to Direct Doctor Who Series 10?